The theme for UK Black Pride (UKBP) 2016 was “Transforming Our Community” and that is exactly what was achieved at UKBP’s 11th annual pride event held in Vauxhall Pleasure Gardens. Once you strolled into the park you were greeted with the stewards from Pride in London who were flying rainbows flags. Which should have meant you were in the right place, but it was quite confusing as there was a stage playing music but no BME people standing around or sitting on the grass. To get to the UKBP area you had to walk up a path, past amazing stalls like; House of Rainbow, Barefoot Wine and Over the Grill, who were wafting the sweet smell of Caribbean food around the park. Throughout the day we were treated to fantastic live performances from various talented rappers and singers like; Honey J, Prolific, SJ Souljist amongst many more. DJs kept the crowd dancing as they played our favourite old and new RnB, bashment, hip hop and afrobeats tunes. There was also an opportunity for us to remember the victims of Orlando with a one minute’s silence which was followed by a beautiful rendition of Queen Latifah’s “I know where I’ve been” with vocals that made the hairs stand on the back of your neck. It was an exceptionally positive day where thousands of people gathered to enjoy themselves despite the obvious segregation in the park and the increased racism and xenophobia that has plagued the UK in the past week as a result of Brexit. The day was organised exceptionally well. It was uplifting and heart warming to see a beautiful crowd made up of mostly the BME LGBT+ community. We are proud of the team and look forward to UKBP 2017. Had so much fun that day, the vibes were amazing. It would have been nice to have introduced myself to one of your writers. I think her name is Danielle, she is yummy. Thank you for your comment Mia, happy to hear you had fun times at Pride that’s what it’s all about! 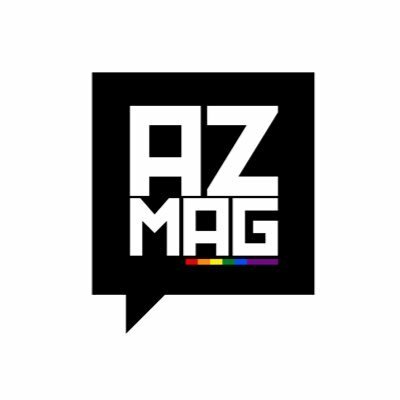 If you’re out and you see the AZ Mag team, myself included, come and say Hi.